Naval Group and Fincantieri’s joint bid for the Canadian Surface Combatant (CSC) project has been rejected, after the companies failed to submit through the formal process. The French and Italian pair, which are currently in merger talks, sent a proposal directly to the Canadian government, offering to construct 15 ships at Nova Scotia for a fixed cost, but the proposal has been excluded from consideration for failing to follow the government's procurement procedure. "The submission of an unsolicited proposal at the final hour undermines the fair and competitive nature of this procurement suggesting a sole source contracting arrangement," Public Services and Procurement Canada (PSPC) said in a strong statement. “Acceptance of such a proposal would break faith with the bidders who invested time and effort to participate in the competitive process, put at risk the government’s ability to properly equip the Royal Canadian Navy and would establish a harmful precedent for future competitive procurements." 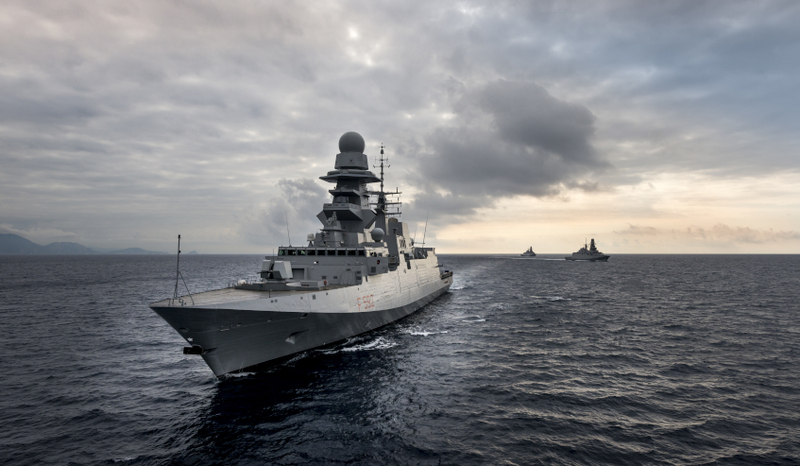 Under the proposal, Fincantieri and Naval Group offered an off-the-shelf warship, based on the FREMM multi-role frigate that is already used by Italy and France's navies. The companies claimed the joint bid would be build faster and cheaper than the bids of its competitors, a statement firmly rejected by PSPC. "With respect to suggestions that significant savings could be realised through this alternative process, this is far from evident," PSPC said. "It is important to note that a warship project budget must cover more than just delivering the ships. It must also include the costs associated with design and definition work, infrastructure, spare parts, training, ammunition, contingencies and project management." While the Canadian government has declined to say how many bids have been received for the project, three have been confirmed. Alion Canada announced it is offering the Dutch De Zeven Provinciën Class air-defense and command frigate, while Lockheed Martin Canada and BAE Systems have confirmed they are offering a variant of the BAE Global Combat Ship. BAE Systems is currently offering the Global Combat Ship-Australia for the $35 billion SEA 5000 project. Meanwhile, Spain's Navantia, which is also tendering for the SEA 5000 project, has teamed up with Australia's CEA Technologies and SAAB Australia to offer a solution based on the F-105 frigate design for the Canadian Surface Combatant project. If Navantia is selected as the successful bid, CEA Technologies would provide key elements of the vessel. The frigates would also be integrated with Saab's 9LV (CMS). Canada's in-service Halifax Class frigates already have elements of the 9LV CMS. It is anticipated that the Canadian government will be made by mid next year, much like Australia's Future Frigates decision. The Canadian government is expecting the project cost about CAD$56-60 billion. Regardless of which bid is selected for the design of the vessels, the new Canadian warships will be constructed in Halifax by prime contractor Irving Shipbuilding under the Canadian government’s shipbuilding strategy, which, like Australia, is also seeking to end the "boom and bust" cycle of the shipbuilding industry. Earlier this year, Irving Shipbuilding were headhunting Australian workers to join the company to work on Canada's future combatant fleet. The company launched a social media and newspaper advertising campaign encouraging Australian workers to move to Halifax, Nova Scotia and join "North America's most modern shipyard". Over the next 30 years, Irving said it would be constructing up to 21 modern patrol ships and surface combatants. "By joining our team of more than 1,500 shipbuilders you can enjoy a dynamic, diverse and family-friendly career with a company dedicated to your success, health, wellness and safety," the company's Build Ships in Canada website said. The company held interviews with potential candidates in Adelaide, Melbourne and Sydney in late April.